Ballina is one of six towns nationally to have been selected for funding under the Historic Towns Initiative. The town has been awarded €140,000 under this initiative, which is a joint initiative of the Deparment of Culture, Heritage and the Gaeltacht and the Heritage Council and builds up a pilot scheme that ran from 2013 to 2014. The selection of Ballina follows a competitive process, where local authorities were invited to propose projects for heritage-led regeneration in one historic town in their area. 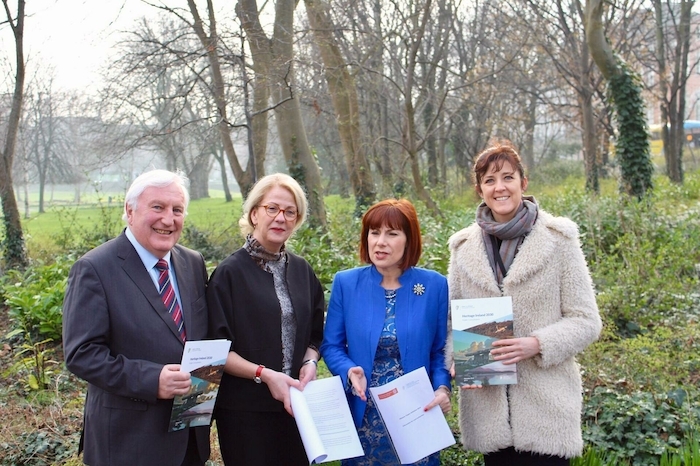 Ballina based Senator Michelle Mulherin welcomed the announcement and outlined what the funding will be used for: "The project focuses on the repair of a number of buildings with significant historic fabric in the town’s architectural conservation area. The buildings include the town’s historic library and a number of privately-owned buildings. "The title of the project is Historic Core Façade Improvement Scheme, which focuses on the Pearse Street Architectural Conservation Area. The street comprises a series of buildings in single terraced form and group terraced form. The composition of the street at the heart of Ballina includes large two and three-storey Georgian buildings with later Victorian and one-off individual stylised buildings. "The properties to be included in the scheme retain significant built fabric worthy of repair. Careful conservation-led repairs to historic shop fronts, sash windows and doors within the historic core of Ballina will ensure the long-term survival of these assets. The internationally recognised practice of heritage-led regeneration shows that heritage can be used to create a desirable place where people can live, visit and do business." Minister Michael Ring also welcomed the funding saying: "Ballina is one of six towns selected for funding under the Historic Towns Initiative 2019. This selection follows a competitive process where Local Authorities were invited to propose projects for heritage-led regeneration in one historic town in their area. "Historic towns include those of medieval and pre-medieval foundation, plantation towns, planned estate towns and those established around local industries. While almost all Irish towns are historic in origin, a town seeking to benefit from the Historic Towns Initiative should possess significant cultural and heritage assets and have a distinctive sense of place. Each Local Authority was invited to apply in respect of one historic town with an indicative minimum population of 1,500 inhabitants. The funding for Ballina will focus on repairing ten buildings with significant historic fabric in Ballina’s architectural conservation area." Senator Mulherin went on to to praise the expertise of the staff of Mayo County Council who will be spearheading the project, saying: "We are very fortunate to have expertise in Mayo County Council through our Heritage Officer, Deirdre Cunningham and architects, Kevin Keegan and Siobhan Sexton, who at every opportunity strive to highlight the value of preserving the wealth of our built heritage and make it a focal and starting point of the modern day development of our Mayo towns and villages. "Heritage-led regeneration will bring economic benefits to Ballina and enable our historic town to prosper through increased visitor numbers and decreased numbers of vacant buildings and commercial premises."